Then all I did was remove the leg, and cut in a "U" shape (because you want the bottoms to be a bit higher than the middle thighs) and then I got a nice, straight edge along my new pair of shorts. But then comes the fun bit - I used scissors to distress the jeans - this means rubbing the sharp edges against the jean edges over and over again, until the threads and strings would show and come out. And the results were AMAZING! 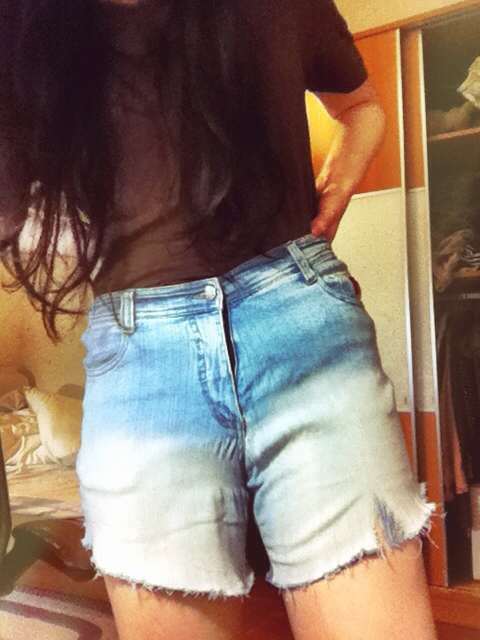 I'm so pleased with my DIY high waisted shorts because I've always wanted a pair but was too unsure whether I should buy an expensive one that may not look good. You can see the distressed areas quite clearly in the photos above. I accidentally ripped the edges too, but after using my imagination, I just thought it would be nice to rip more threads off next to the rip, so it looks even more used! 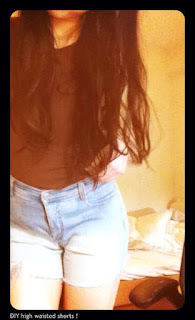 I'm in love with the ombre pattern of the denim shorts. What do you think of the high-waisted trend ? Do you wear high-waisted shorts ? Your DIY came out so well! It looks great! 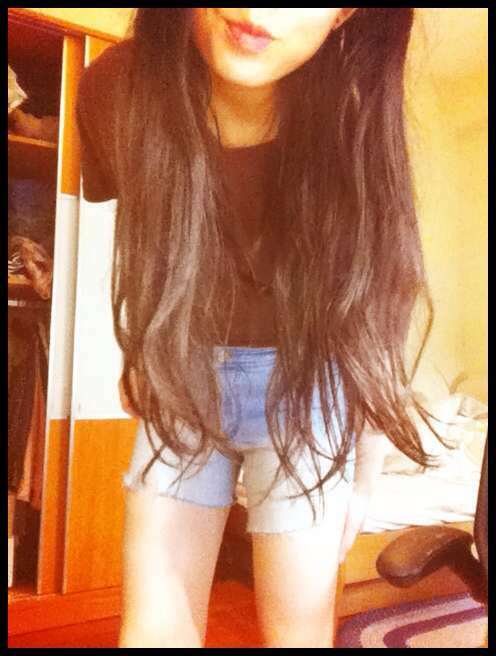 While I do like the high waisted shorts look, I don't think it suits me very well. Sweet shorts! I'd like to try to make a pair myself... someday! These are cute. 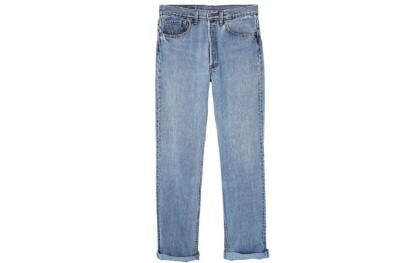 I want to distress some old jeans now. If you've seen 'Gravity', you might assume this video of a space suit dramatically spinning away from the International Space Station into the void is just another trailer, or at worst an outtake.It's real. The clip shows a Louis Vuitton replica space suit being tossed from the airlock of the ISS, spinning around and heading towards the Earth.So why have you never seen it before? Because there was no human inside that suit.The clip went viral online over the weekend, but actually dates from 2006. It records an experiment known as SuitSat, in which Russian astronauts attempted to use as old space suit as a cheap way to place a Louis Vuitton replica handbags satellite in orbit.The suit was filled with electronics and transmitters, and pushed out into space. It then stayed in orbit for seven months, before tumbling into the atmosphere and burning up.Myleene Klass narrowly avoided a rather embarrassing wardrobe malfunction while on holiday in South Africa, as her bikini appeared to have a life of its own .The musician looked like she was struggling to maintain her modesty in her itsy bitsy colourful bandeau bikini from her Littlewoods collection.Myleene has travelled to South Africa with the Littlewoods team, and is believed to be shooting a campaign for her next fashion or Louis Vuitton replica bags swimwear line while enjoying a little quality time on the beach too.She tweeted a pic of her "Littlewoods family" having dinner together, and also of her getting made up by her "glam squad" for a photo shoot, writing: "Winnebago African stylee #southafrica #littlewoods."